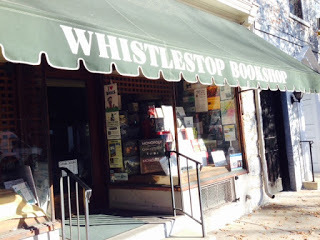 I never thought I&apos;d say that one of my favorite shops is a bookstore, but Whistlestop Bookshop is definitely a favorite! I fancy it so much that I&apos;ve decided to not purchase books anywhere else. 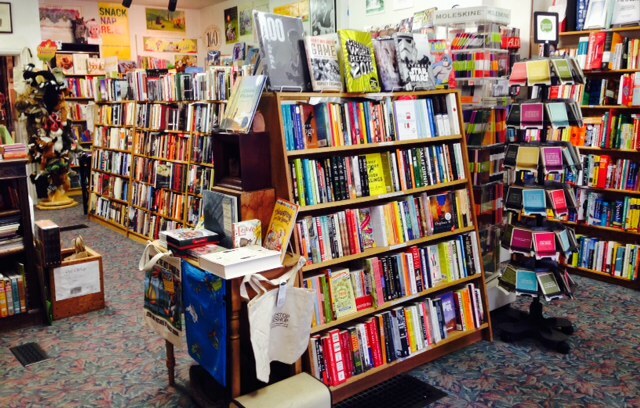 Up until a year ago, I shamefully thought that shopping at an independent bookstore was more expensive. I was wrong. The prices are the same as a big box, plus the customer service at Whistlestop is unrivaled. not only because of the book selection, but mostly because of the friendship I&apos;ve developed with Jeff Wood, the owner. Jeff said it best, "My customers become an extended family." It&apos;s true. Jeff and his team treat each one of their customers individually. 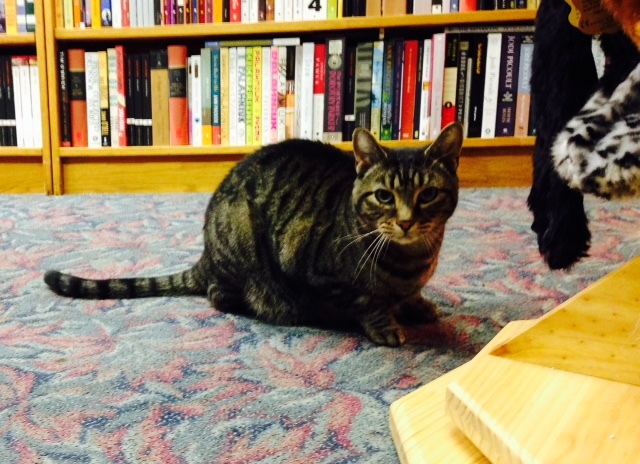 They are genuinely interested in getting to know you and will help you find the perfect book for yourself or to give as a gift. Their motto is to put the right books in the hands of the right people. They provide suggestions and are honest when something might not suit your taste or be appropriate for the reading level you desire. They always help me find the perfect book. I buy a lot of children&apos;s books for my four-year old twins, so they&apos;ve come to know Jeff and Whistlestop. They hold a special place in their heart for their Book Keeper, as they lovingly refer to him. Hand-Selected Inventory - Going into a big box store is incredibly overwhelming for me - there is too much to sort through and it includes the good and the bad. Jeff has to give careful consideration to every book he carries, since space is at a premium. I feel confident that every book I purchase from Whistlestop is going to be a quality read, because it has his stamp of approval. I also think you&apos;ll be surprised at how much variety you&apos;ll find, I know I am. If they don&apos;t have something in stock they can order it for you, often with a 24-hour turn around time (even Amazon has a hard time beating that). Just last week I ordered a book and it was ready to pick up the next day. To foster good will and to help bring life to the downtown, Whistlestop often has free poetry readings, book signings and concerts. They also have a space above the shop available for rent for birthday parties, wedding showers, meetings, etc. In early 2015, I realized how important it is to shop local and support our local businesses, took me 34 years, but nevertheless I got there. Every purchase I make at a locally-owned shop, makes me feel good because I know my purchase is appreciated and makes a difference. I hope that with every blog I write I convert someone else out there. I encourage you to shop local all year round. Here are some gift ideas to get you started. Coloring Books for Adults - I love coloring, especially with my kids! Coloring can be extremely therapeutic. In fact, it has been scientifically proven to reduce stress. 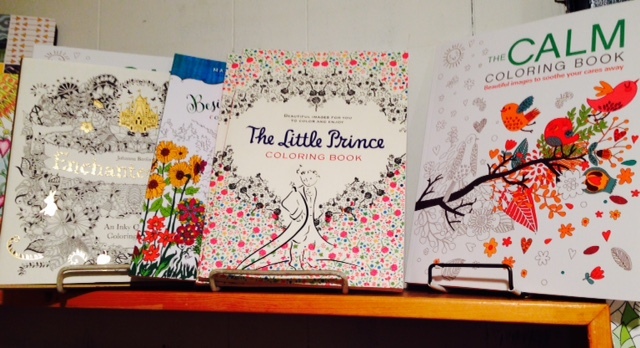 Just last week I discovered adult coloring books at Whistlestop. Genius! The designs on adult coloring books are intricate, and the paper is bright white and much higher quality compared to your kids newspaper quality coloring books. They have a nice selection of designs, including biblical, nature, birds, fantasy, Games of Thrones, etc. Prices range from $8-$16. I bought some as gifts for friends, one for my husband to wrap up for me and one for him (Luke - surprise if you are reading this). 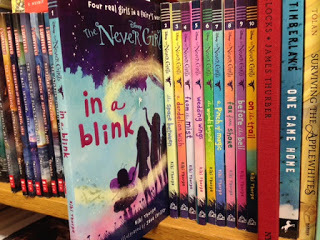 Never Girls Series (12 books) - If your kids like fairies and fantasy, they will love this series. Never Girls goes back and forth between the human world and Neverland. I read this to my four-year old girls and they love it...secretly I love it too! It is recommended for ages 6-10, but my kids love fairies, so they are very engaged. 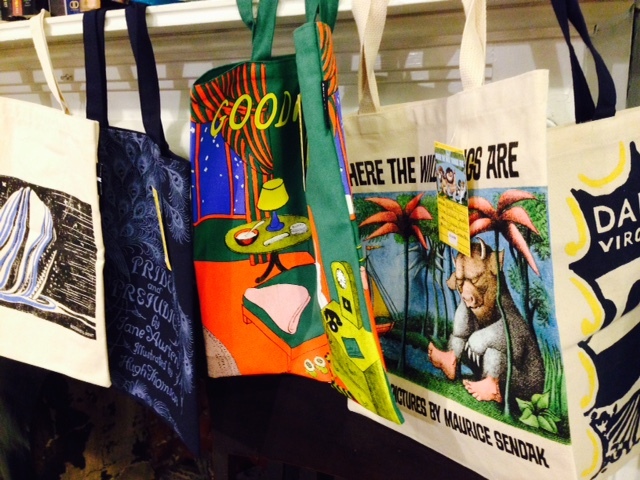 Literary-inspired T-shirts, Canvas Bags and Pencil Cases including Curious George, Great Gatsby, Wrinkle in Time, Cat&apos;s Cradle, Where the Wild Things Are, the Hungry Caterpillar and more! Every purchase sends a book to a community in need. The back room is filled with gift items, including puzzles, calendars, hand puppets, note cards, journals, locally-made honey and soap...the list goes on. Jeff is incredibly knowledgeable and passionate about all literature. He loves what he does and where he does it, because of the good people, beautiful setting and endless amount of interest that they generate for him. Jeff, congratulations to 30 years in business! You deserve it!